The current president of AAU and the recipient of Al-Hussein Decoration for Distinguished Service, Professor Sari Hamdan got his B.S. degree in Physical Education in 1976 from the University of Alexandria/Egypt. In 1984, he received his M.A. degree in Administration and Coaching in Physical Education from the University of Miami/USA. Hamdan got his Ph.D. in 1986 in Administration and Professional Preparation in Physical Education from Florida State University/USA. 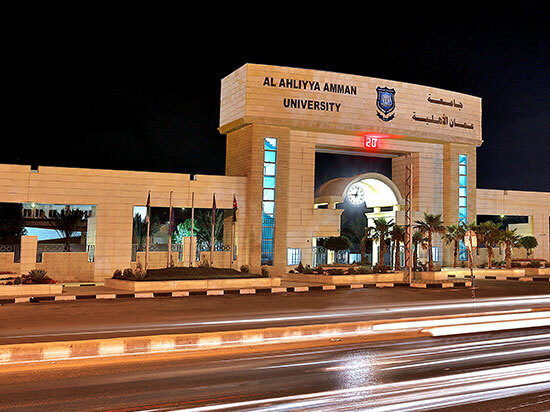 Hamdan joined the Jordan University (JU) in 1986. Then, he was promoted to an associate professor in 1991 and a professor in 1998. He has occupied several administrative positions at JU including the Chairman of the Physical Education Department, Deputy Dean of Student Affairs, and Deputy Dean and Dean of the Faculty of Physical Education. 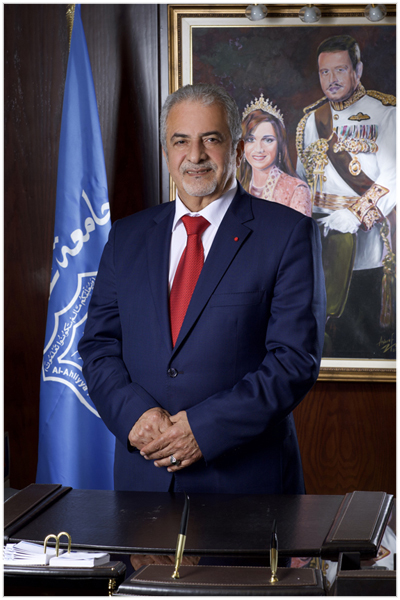 He also served as Dean of Student Affairs and President of Al-Ahliyya Amman University in 2002, and Secretary General of Ministry of Youth from 2003 – 2011. He has extensive experience in administration, education and physical education. Hamdan has many publications in the field of curricula and textbooks for physical education and health. He has also developed Teacher’s Manuals for all grades in the basic education stage. Moreover, he has supervised 27 Master’s theses and six Ph.D. dissertations. He has worked voluntarily as the Deputy Chief De Mission of Olympic Games in Barcelona in 1992 and chief De mission of Olympic games in Sidney 2000 in addition to many other voluntary works all over his academic life until now. He also served as a member on numerous committees, councils and boards including the Executive Bureau of the Union of Arab Olympic Committees, the Board of Directors of the Asian Handball, the Higher Council for Persons with Disabilities, and the Board of Directors of the Arab Union for Handball. In addition to Al-Hussein Decoration for Distinguished Service in 2002, he was also awarded the Arab Union for Handball Decoration of Honour in 2007, and Shield of the Union of Arab Olympic Committees in 2011. Hamadn is currently the deputy for HRH Prince Faisal bin Al-Hussein in the Arab Olympic Games Committee.